As know guys submitting sitemap to Google, Bing and Yahoo webmaster tools it makes your website or blog to index up to date in big three search engines. Google is one of the big and top search engine to generate your traffic.And it is also a big source to get traffic to the blog. 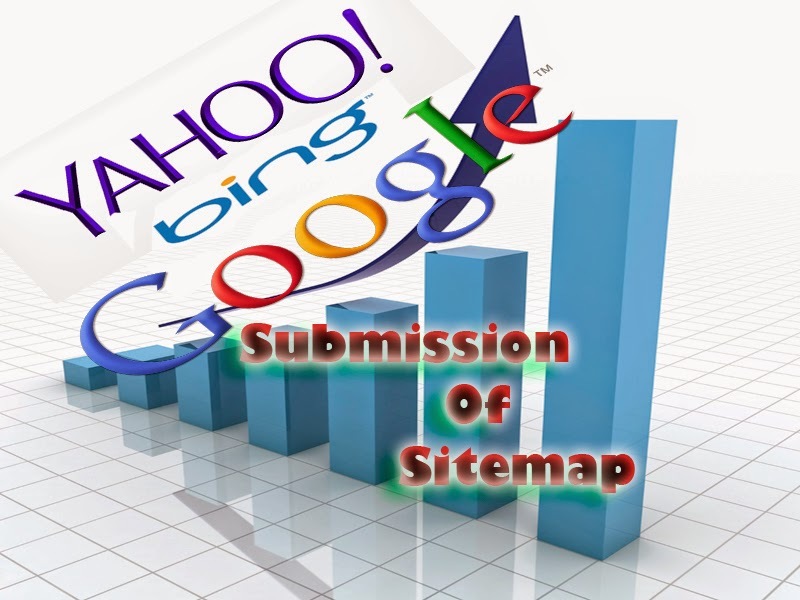 Without submitting your sitemap to search engines not use of blog or website. So, here we discuss step by step to get index in search engines. Google is one of top search engines as know and it is a best place to get your high traffic for your blog or website.To index each and every post we have to submit a site map google webmaster tools.So let go here step by step. Step1:Sign in with google webmaster with your Gmail account (account associated with blog or site). ''Add your site'' Google webmaster'' then ''continue'' after that verify your site by adding ''meta tag'' to your site under head tag and come back to webmaster click on ''verify''. Step3: Then go to site configuration>>sitemap. Step4: Select the button ''add/test sitemap''. Step6:Done it take some times index. After Google second biggest search engines are yahoo and bing. As you know guys bing and yahoo are same now.Submitting to bing is same as yahoo. Let's begin here. Step1:Sign in with bing webmaster with your Gmail account. Step2:Select blog or site as listed. Add your blogspot to webmaster here.Then verify using ''meta tag'' as you did like Google verification. At last your done! !Follow the instruction step by step and this is the best way to get your high traffic and visitors directly from Google.